The famous Jaguar “leaper” mascot. 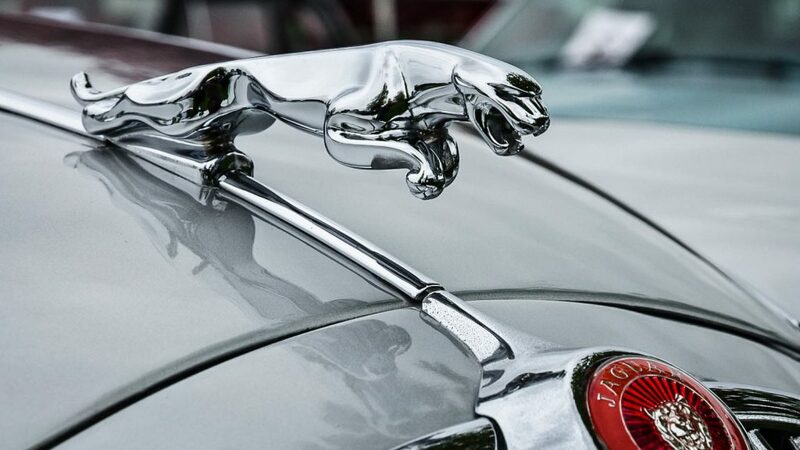 Thanos Pappas of the web site CarAdvice has produced an excellent writeup of the history of Jaguar. Click below for Part 1, which takes us from the first Swallow Sidecars in 1922, through to the Egan era and privatization (with the split from British Leyland) in 1984. 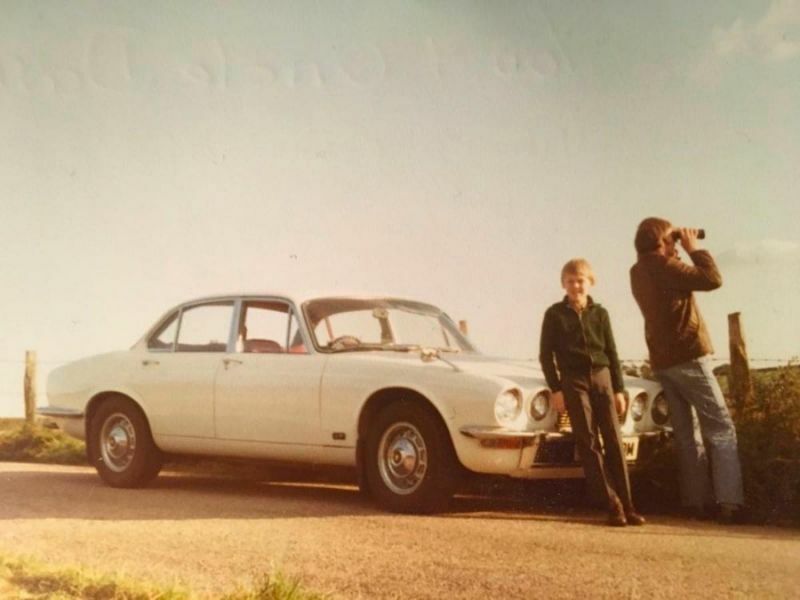 The white Series 2 XJ6. Check out the third to last paragraph. 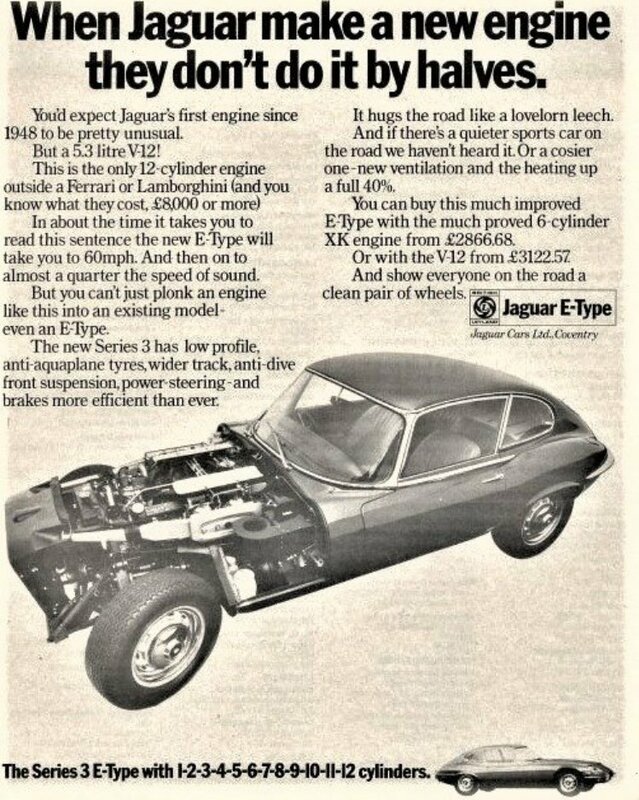 Apparently, the Jaguar Series 3 E-Type, famous for its 5.3 liter V12 engine, was also made available with the six cylinder 4.2 liter XK engine. According to the Jaguar Daimler Heritage Trust, only 2 or 3 were ever made, and none delivered to customers. You can read the Twitter thread here. 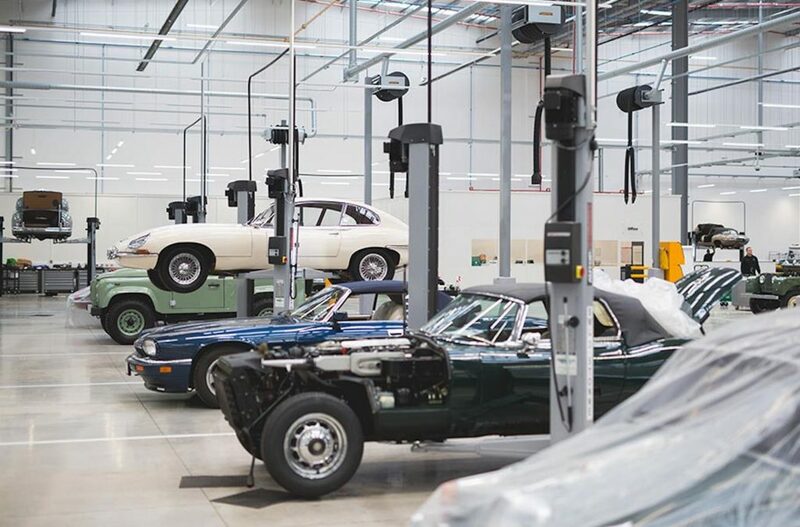 The new center, which will be Jaguar Land Rover’s first outside of the UK, is set to open in Savannah, Georgia in the summer of 2019. It will feature 42 bays and will be available for repairs and restorations of models that have been out of production for 10 years or longer. Presumably, parts for older cars will also be offered for sale. You can read more in Cnet Road Show’s original article here. If the looks of this beautiful car doesn’t put a smile on your face, perhaps the sound of it will. From Jay Leno’s Garage. 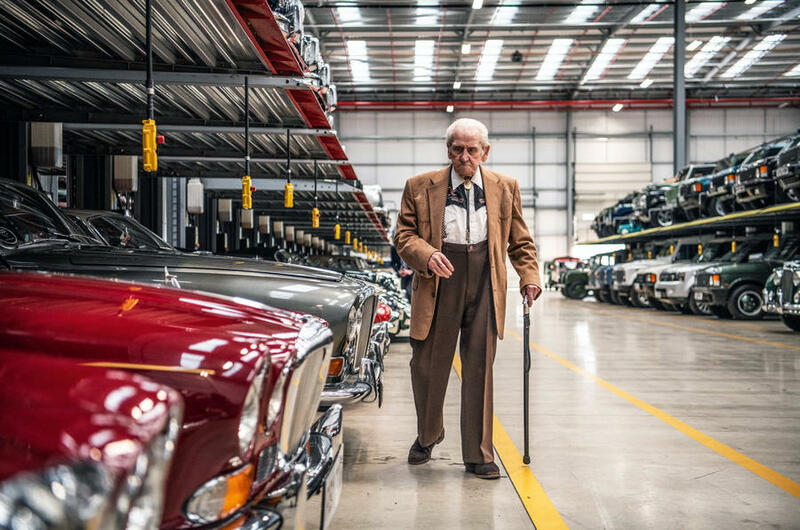 We join Norman Dewis OBE, as he tours the Jaguar Land Rover Classic Works and goes for a ride in the new all-electric Jaguar I-Pace. E-Type Low Drag Coupé looks the business. Another absolutely gorgeous car for sale. 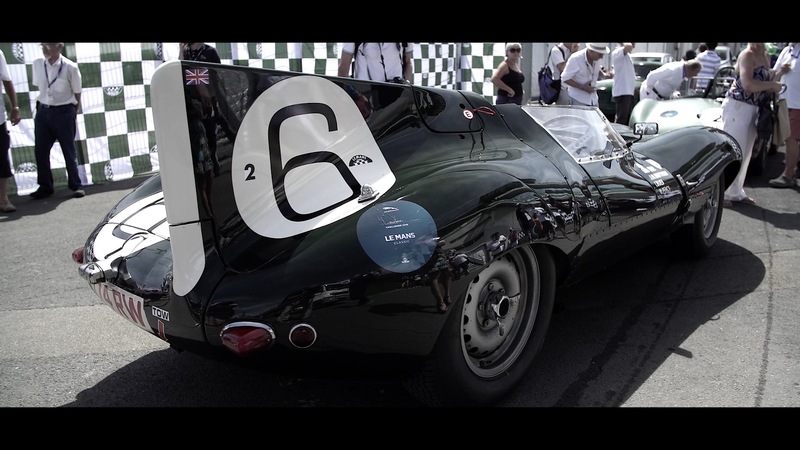 This is a faithful replica of the Jaguar E-type Low Drag Coupé with registration 49 FXN. The asking price is £365,000. Now, this is not something we thought we’d ever see: Stunt car no. 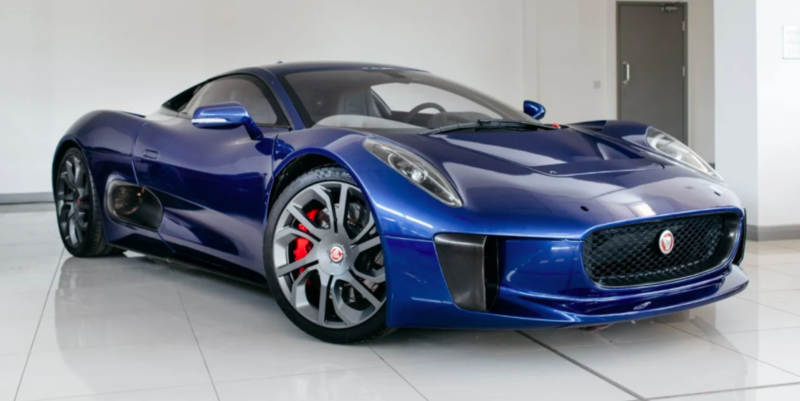 001 from the James Bond movie ‘Spectre‘ has turned up for sale in London. 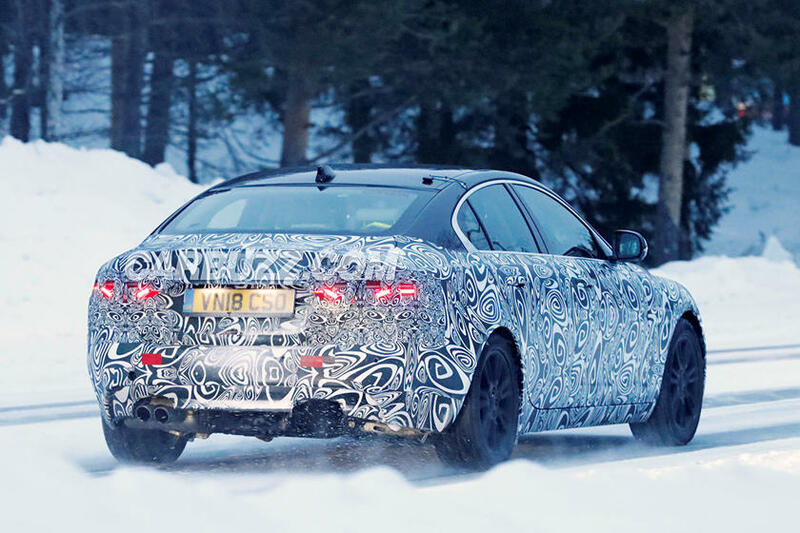 Spotted in the wild: The new Jaguar XE. Since this is a sad story, we’re leading with a picture of a Land Rover product. We bring tidings of sad news. 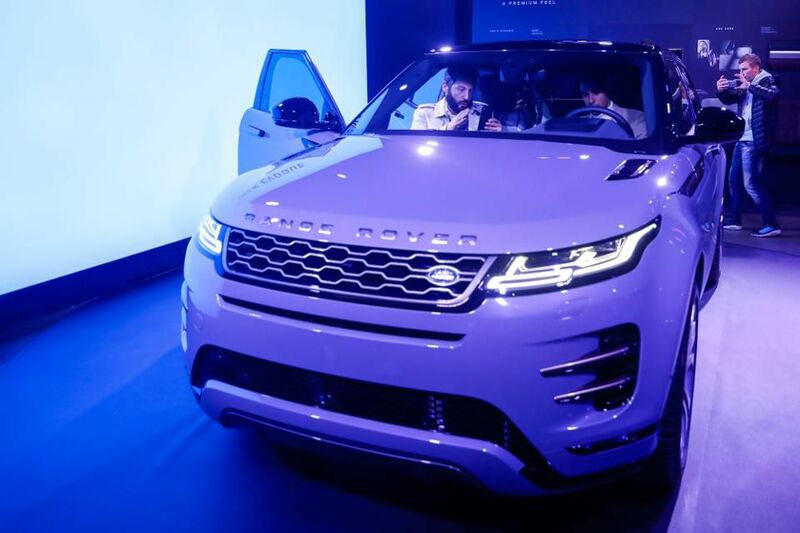 Jaguar Land Rover is laying off ten precent of their workforce due to falling sales in China, and uncertainty caused by Brexit.